The blooms are fragrant and can be super strong, especially in the morning. 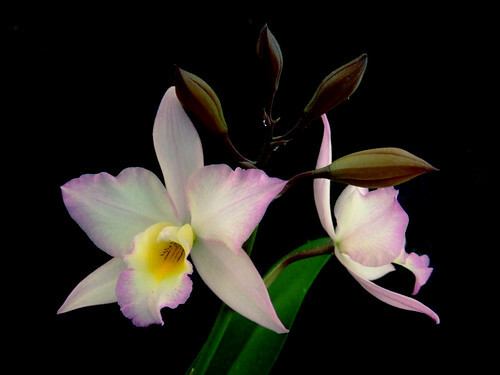 In the home, this orchid can be grown in a similar environment as cattleyas. I was super excited to find this orchid at Lowe’s and I just HAD to have it! Unfortunately my plant may be a bit of a project, as it only had a few decent roots by the time I finished cutting away the rotten ones when I first brought it home. I am keeping my hopes up for this one – looks like it will be incredibly rewarding if I can nurse it back to health and get it to bloom! You chose an exceptionally nice orchid Brooklyn. Those Iwanagara hybrids take some beating. 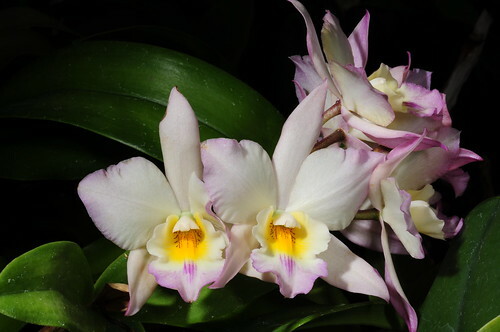 I purchased mine for Santa Barbara Orchids a few years ago while living in San Clemente, CA. Moved with my collection to Phoenix last September; a very harsh environment. I joined the Desert Valley Orchid Society early this year and took my Iwanagara for their orchid show display. When I returned the following day, I found a blue First Place ribbon hanging from my plant. Surprised doesn’t begin to capture my reaction. A very hardy plant that is doing well here. That’s great! Congrats on your blue ribbon!